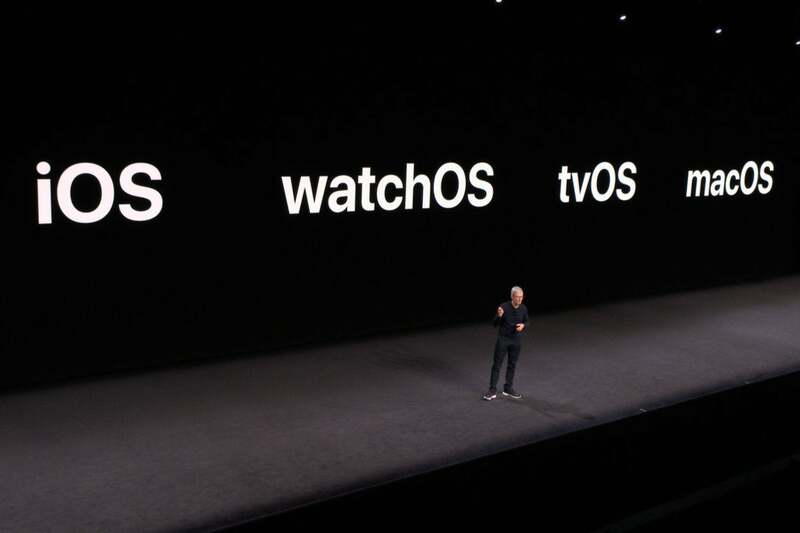 If you missed the WWDC keynote, or you don't have time to watch it, you can catch up on everything Apple revealed about iOS, macOS, tvsOS, and watchOS. This year's WWDC is all about software. That means no new Mac announcements, no low-cost HomePod, no iPhone SE...nothing but iOS, tvOS, watchOS, and macOS. There was still plenty to get excited about. Apple's upcoming operating systems are going to deliver a host of welcome improvements and new features when they release this fall. Here's everything Apple announced at its WWDC 2018 keynote presentation, along with links to our deeper coverage. 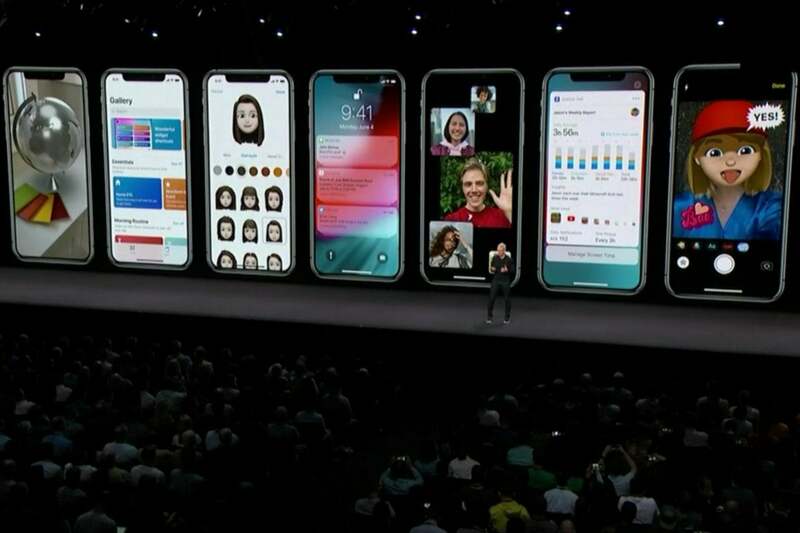 Apple is rolling out iOS 12 with emoji, Memoji, improved notifications and AR features, and much more. This is the big one. Apple's most popular devices run iOS, and they're getting a big, fat pile of improvements. Here's a quick list of everything announced, but for a deeper dive, check out our iOS 12 feature. Performance: Apple's paying special attention to performance, particularly on older devices. The company says that, on an iPhone 6s Plus, apps launch up to 40 percent faster, and twice as fast when there's lots of heavy multitasking going on. The camera launches 70 percent faster, the keyboard pops up 50 percent faster, and the share menu is twice as fast, all on an iPhone 6S Plus. Apple's embracing five years' worth of products with iOS 12, and promising performance improvements even for older devices. 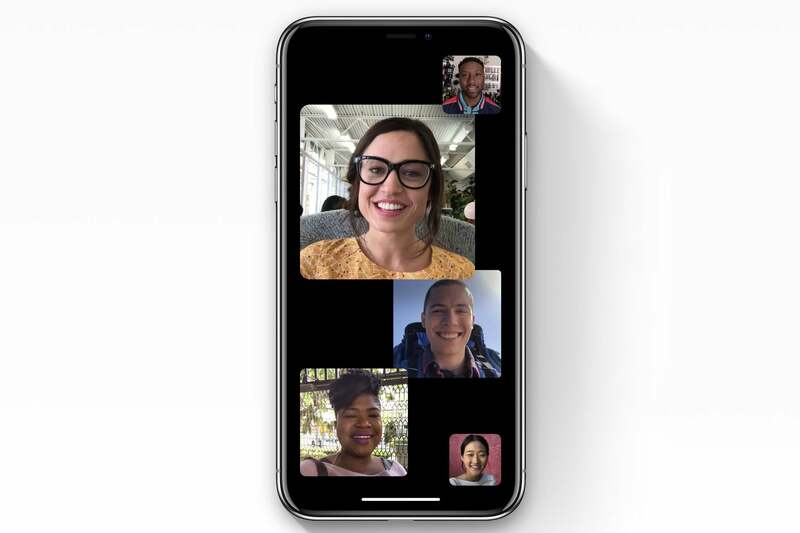 FaceTime: Apple is adding group FaceTime with up to 32 people, the ability to add people in the middle of a FaceTime call, the ability to use Animoji and Memoji in FaceTime calls, stickers in FaceTime calls, and even video filters. 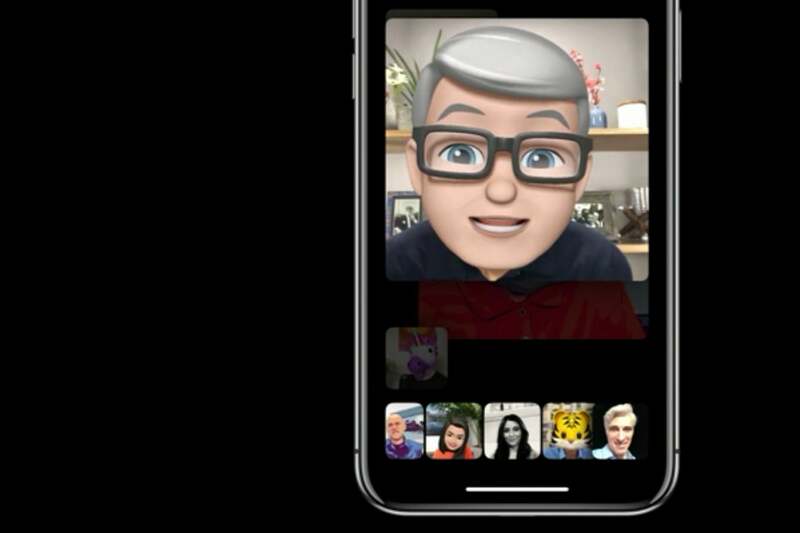 FaceTime with up to 32 people, and substitute Memoji or Animoji for your head. Use stickers, too! Animoji: There are four new Animoji: T-Rex, Ghost, Koala, and Tiger. Animoji clips have been lengthened to 30 seconds, too. Animoji (and Memoji) recognize when you stick out your tongue or wink. 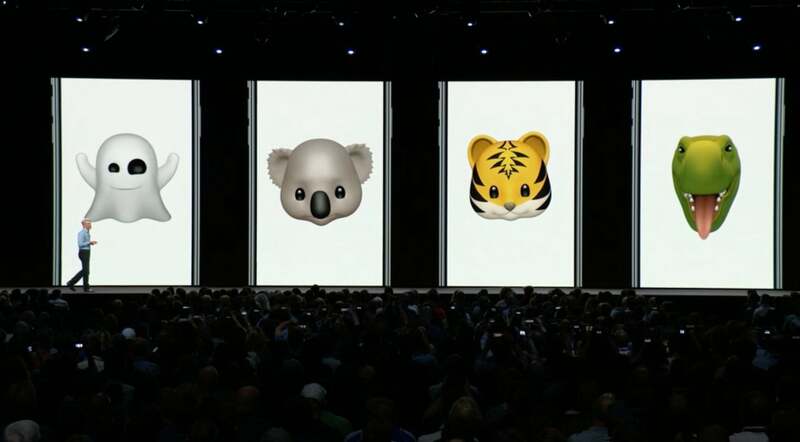 New animoji in iOS12 will include the a ghost, a koala, a tiger, and a Tyrannosaurus Rex. Memoji: iOS 12 introduces a new form of Animoji that is made to look like your face (or someone else's, if you want). Think of it as an animated 3D version of Bitmoji. You can customize how your face looks, adjust your hair, and accessorize. This is Tim Cook's Memoji, which can be styled with different haircuts, eyewear, skin and eye options and more. 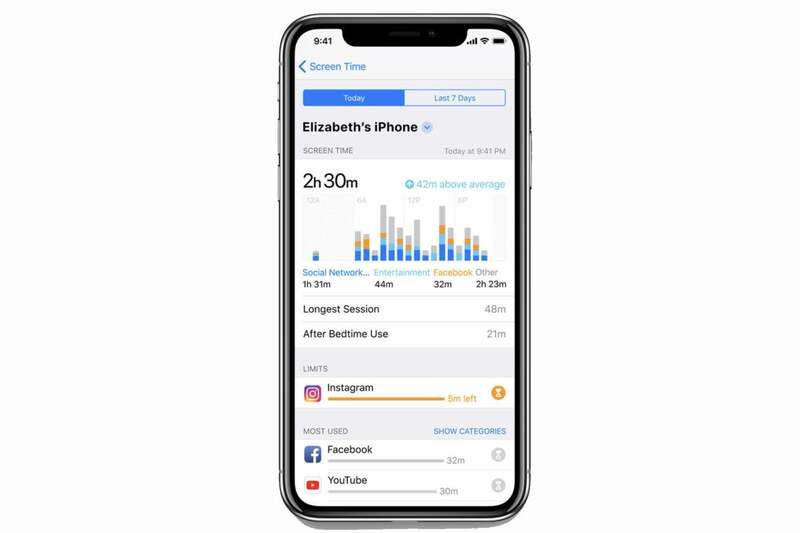 Screen Time: Track how much time you or your kids spends glued to their iPhone or iPad. You can set time limits by app type and day, and they even sync between iPhone and iPad. Create exceptions for apps you always want available, like education apps. iOS 12 finally gives you the tools you need to monitor and control how much you use your device. For parents or those who just want to spend less time on their phone. Notifications: Finally, better iOS notifications! Notifications will be grouped together by app, and you can instantly choose to have notifications for particular apps delviered silently. You can mark certain alerts as critical so you get them even while in Do Not Disturb mode. At long last, grouped notifications in iOS. Do Not Disturb: Choose a bedtime, and your display will dim and silence notifications until you unlock your phone the next day. You can also quickly set DND mode to end in an hour, at the end of the meeting you're in, or when you leave your current location. Perfect for school or the movies. ARKit 2: With ARKit 2, Apple extends its leadership in mobile augmented reality. 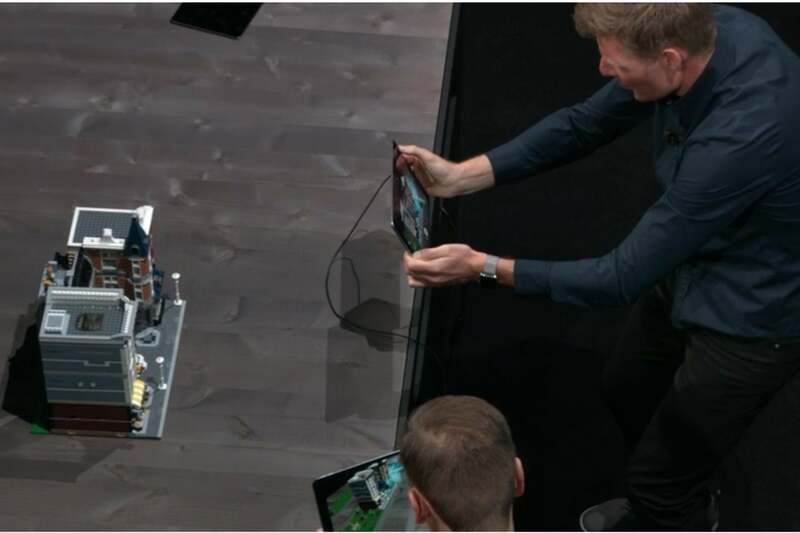 There's improved face tracking, better rendering, a new cross-platform AR file format called USDZ, the ability to save persistent AR states, and the ability for multiple people to share in a single AR experience together. Apple's even including its own app named Measure that lets you quickly measure real-world objects. Apple showed off the augmented reality features of iOS12 in a game using Lego buildings as the setting. Photos: Photos gets a bit of a facelift with a new For You tab, event search, sharing suggestions, and smarter search suggestions. It now supports RAW images, including the ability to edit them on an iPad Pro. Camera: Portrait mode is improved, the QR code reader is better, and there's an API for developers to separate layers in a photo, so they can do their own portrait modes and other special effects. 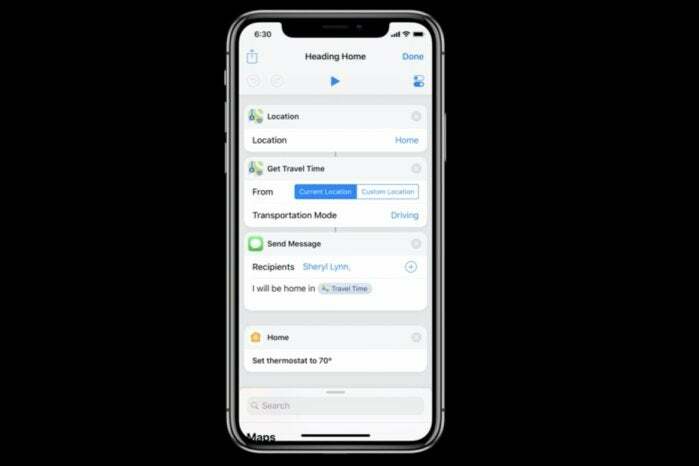 Siri Shortcuts lets you perform a set of actions all with a single command. Siri: It looks like Siri is getting a host of improvements in iOS 12. The big one is Siri Shortcuts, which lets you perform a set of actions all with a single command. This represents the first real integration of Workflow into iOS, too. Siri makes intelligent suggestions on the lock screen based on your past history. Siri can give you more facts about more things (including nutrition facts), and help you search for a password, too. Privacy and Security: Safari can do more to prevent websites from tracking you. iOS can help you automatically generate strong passwords for websites and apps, and store them in Keychain. The passwords list will flag reused passwords, too. If you get one-time use passcodes via SMS, they'll be suggested for autofill so you don't have to pop back and forth or memorize them. Third-party password apps get an API to integrate into the keyboard, too. Overhauled apps: iBooks (now just Books), Stocks, News, and Voice Memos have all been given a redesign and new features. CarPlay navigation apps: At long last, third-party navigation apps will work in CarPlay. That means you can use Google Maps or Waze in your CarPlay-equipped car. We don't know what features the next Apple Watch will bring, but the next version of watchOS has plenty of goodies. Unfortunately, Apple's cutting off support for the original Apple Watch (series 0), so if you want this watchOS5 goodness, you'll need a Series 1, Series 2, or Series 3. Activity Competitions: Challenge someone to a seven-day contest where you earn points based on the percentage of your rings you close. With watchOS 5, you don't have to be so precise about when you start and stop workouts. The watch will remind you. 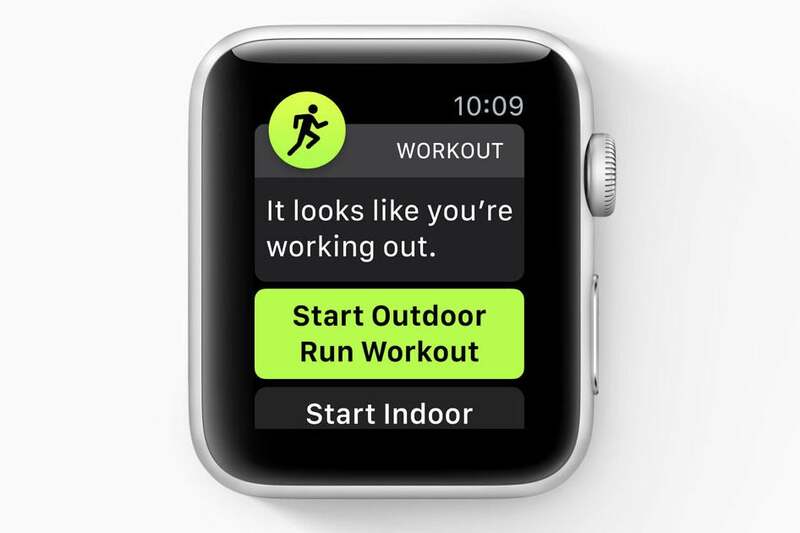 Workout features: Apple Watch will automatically sense you're working out, prompt you to start a workout, and give you credit for the workout you've already done. Then, it'll remind you to end a workout. Apple has added new workout types like Hiking and Yoga. Great new features for runners include keeping track of pace, rolling miles, and cadence. Podcasts: Yep, the podcasts app is coming to Apple Watch. 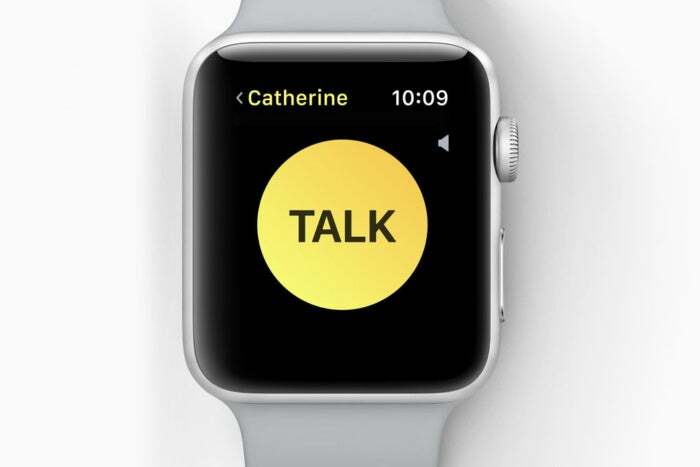 Use your Apple Watch as a walkie-talkie! Fun! Walkie-Talkie: Probably the most fun new watchOS 5 feature, you can have a one-on-one push-to-talk conversation through your Apple Watch. Over! Siri watch face: The Siri watch face uses machine learning to get better at surfacing the right content for you at the right time. 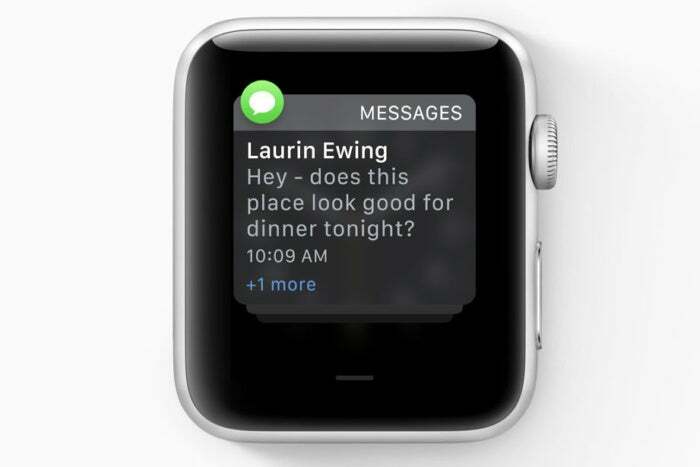 No more "Hey Siri": If you enable "raise to speak" you can just lift your watch to your mouth and tell Siri what to do without saying "Hey Siri" first. Grouped notifications aren't just for iPhone. Apple Watch gets 'em, too. 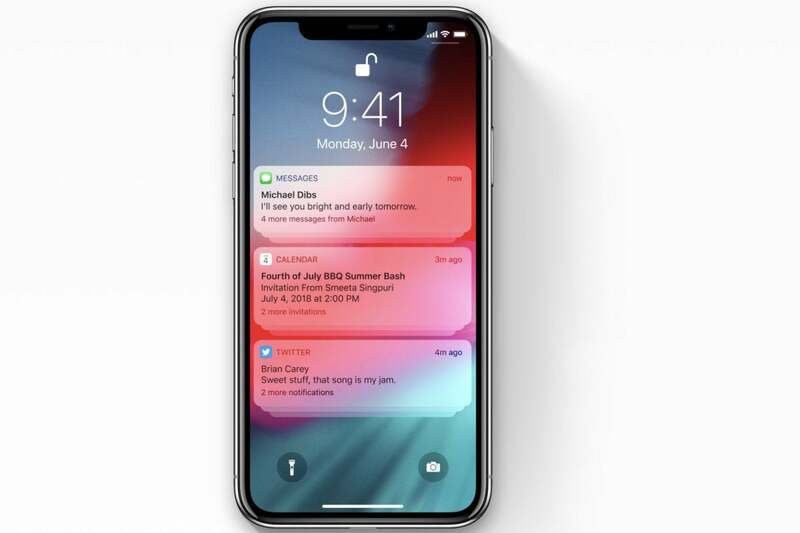 Better notifications: You get grouped notifications like you do on iPhone, better Do Not Disturb options, and more functions that can be done right from the notification itself. Student ID cards: Some universities will integrate their student ID cards with Apple Wallet and Watch, so you can just tap your wrist to do everything you need your ID card for—building access, buying stuff, whatever. This feature is rolling out with six universities, with more coming over time. Apple made one thing abundantly clear: it is not going to combine iOS and macOS. 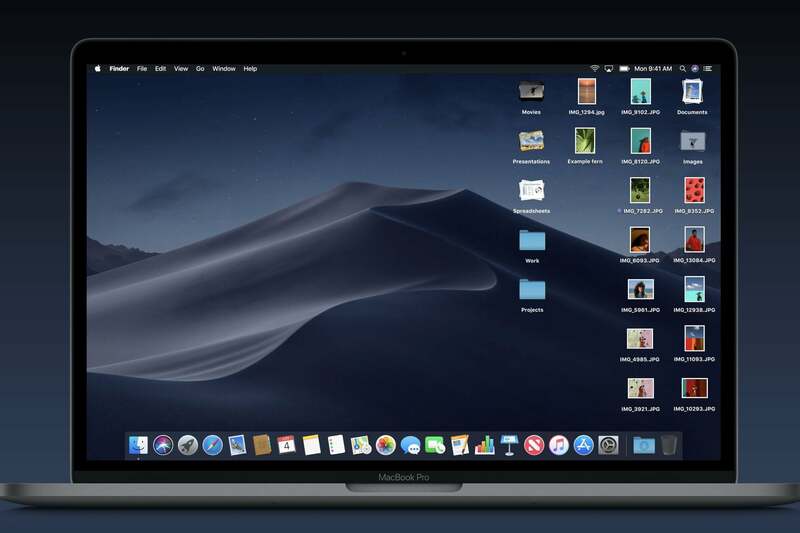 The next version of Apple's computer OS, macOS Mojave (10.14), has plenty of new desktop-exclusive features. Apple did confirm that it plans to bring some of the developer UI framework from iOS over to macOS, updated for Mac features like pointers and hardware keyboards. It's just an effort to make it easier for developers to make both macOS and iOS apps. Here's what's coming in the next macOS. 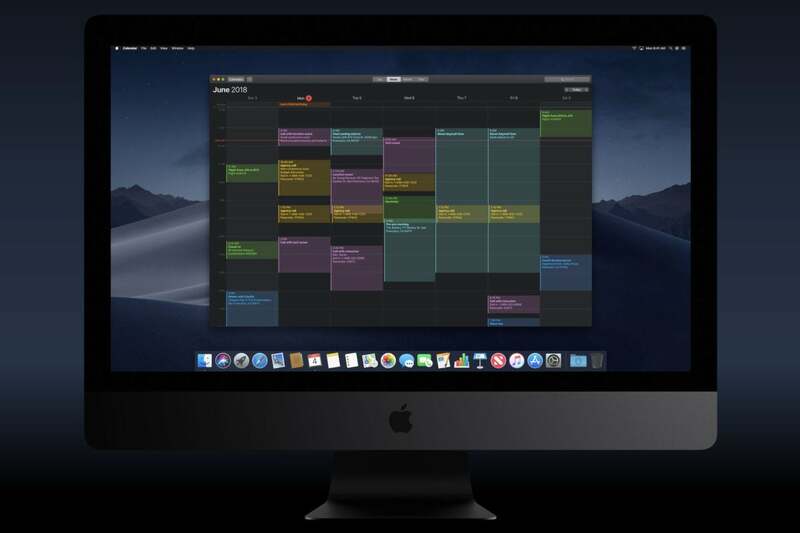 Dark Mode: It's a shame this isn't coming to iOS, but at least macOS is getting a Dark Mode. The desktop, finder, and supporting apps can all change their appearance to a more white-text-on-black-background appearance. Maybe iOS will get this next year? Dynamic desktop: Special desktop background images can update based on the time of day. Stacks cleans up your desktop by grouping similar items, then expanding when you click on the stack. Stacks: Messy desktops get icons and files grouped by type, and expand when you click on them. Finder features: The new Gallery view looks like the second coming of CoverFlow. It's a fast way to locate files by what they look like. Quick Actions let you perform common tasks (like rotating an image) without opening an app, and you can see all of a file's metadata in the preview pane, without opening the Get Info window. Quick Look: Mac users are used to checking out a file with the press of a space bar, but you can't do anything with it. With macOS Mojave, Quick Look lets you perform common actions like rotate images, mark up PDFs, trim video, or share files. Screenshots: The screenshots function of macOS takes a cue from iOS, putting recent screenshots into a little floating thumbnail. Leave it there to save it, or click it to edit, markup, or share. 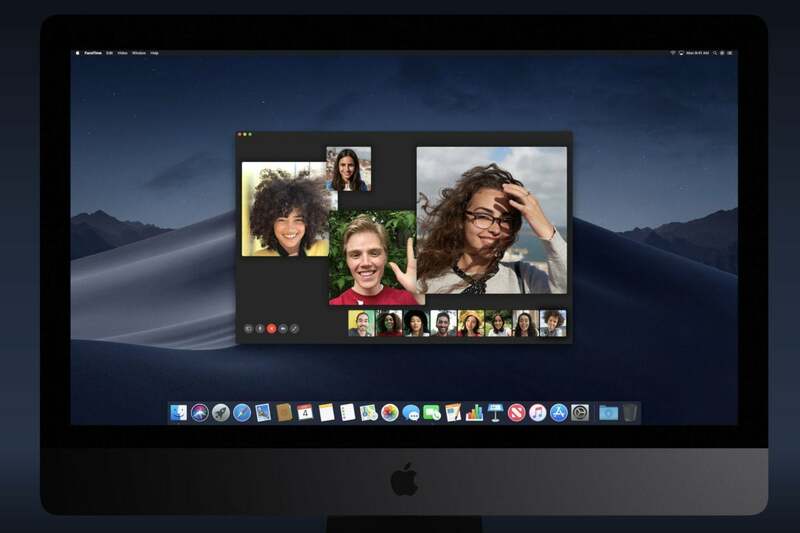 Yep, 32-person FaceTime calls are coming to Mac, too. FaceTime: If iOS is getting FaceTime group calls, so is macOS! 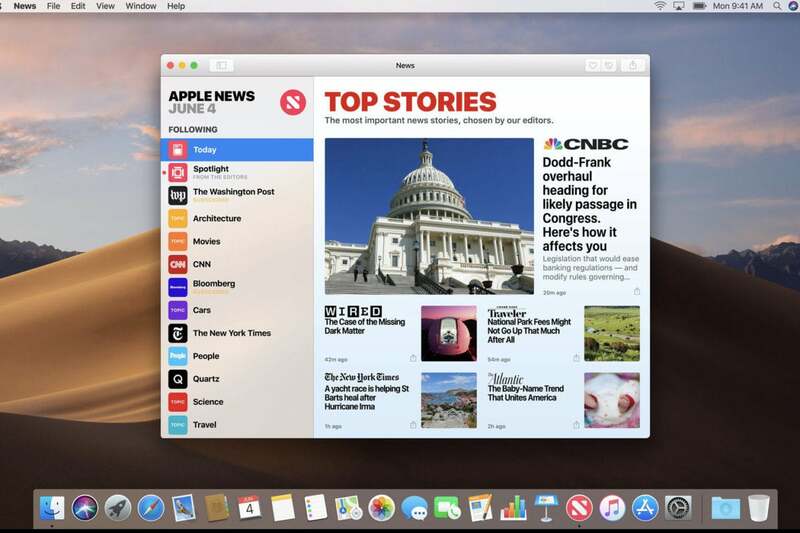 Finally, macOS is getting some of iOS's most important apps, like News and Home. New Apps: News, Stocks, Home, and Voice Memos are all finally coming to the Mac. Mac App Store: Also taking a page out of iOS's playbook is the Mac App Store. It gets a new iOS-like design, including all the neat editorial content that the App Store added in iOS 11. Privacy and Security: The same privacy and security enhancements of iOS 12 are coming to macOS. That means helping prevent websites from tracking you if you don't want them to, generating strong passwords, and more password features in Safari. Siri: Siri gets many of the same enhancements as it does on iOS, but with the addition of the Home app, Siri on the Mac can finally control your HomeKit devices. The customized operating system made for Apple's TV platform may not be getting the big-ticket features of iOS or macOS, but it's got a few new tricks up its sleeve. Dolby Atmos comes to Apple TV 4K in tvOS 12, with free upgrades for your existing iTunes content. 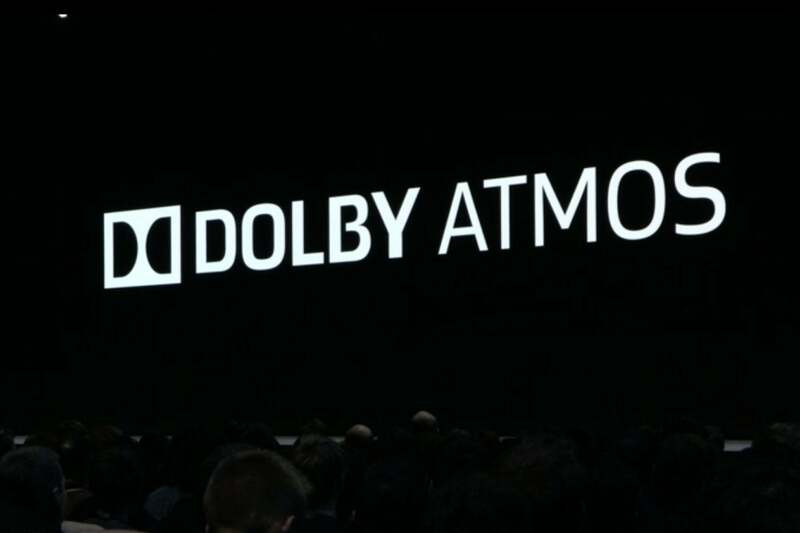 Dolby Atmos: The last missing piece of the Apple TV 4K puzzle is support for Dolby's 3D object-based sound format. It's finally coming, along with lots of Atmos-enabled content in iTunes. Your existing content will be upgraded to Atmos, where applicable, at no charge. Zero Sign-on: If your TV provider is your internet provider, and your Apple TV access the internet through it, this feature just automatically logs you into any app that your TV provider supports. It's rolling out first with Charter Spectrum, with other providers to follow. Aerials: You can tap on the remote to see the location of an Aerial screen saver, and new Earth Aerials show you spectacular views of our planet as seen from the International Space Station.